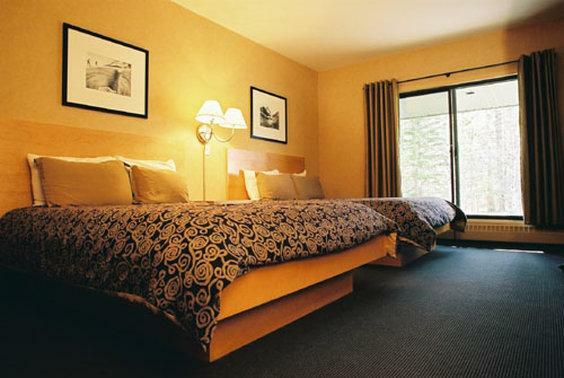 This hotel is situated in a secluded area, a 6-minute drive from the Kananaskis Trail (Highway 40). Offering two on-site restaurants, a fitness centre and a hot tub, this property is well suited for guests who prefer to access dining and recreational facilities on site. This property is 100% smoke free and all rooms include free local calls, a mini-fridge, a coffeemaker, a hair dryer, an iron and ironing board, a private patio or balcony and a TV with pay-per-view movies. Rooms are furnished with one king bed or two queen beds. 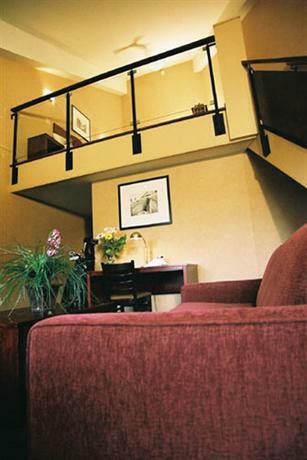 Suites are configured with separate bedroom and living room areas, one king bed and a fireplace. Wi-Fi is available throughout the property for an additional fee of $10 per day. The on-site Wildflower Restaurant serves breakfast, lunch and dinner. Woody's Pub and Patio serves lunch and dinner. Room service is also available. Other on-site amenities include boardrooms and a ballroom, a fitness centre, a hot tub, free newspapers, guest fax and copy service, a sauna and babysitting service for $12 per hour. There were no recent reviews available for this hotel, at the time this analysis was conducted. However, guests considering this property may want to note that this hotel offers free parking and has on-site restaurants and recreational facilities. There were no recent reviews available for this property, at the time this editorial was written. Guests considering this hotel may want to note that there is an additional charge for Wi-Fi service ($10 per day). There were no recent reviews available for this hotel, among hotel review sites, at the time this editorial was written.